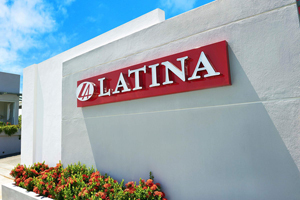 Latina Marketing Sdn. Bhd. is a wholesale company established in malaysia specializing in stylish fashion apparel, decorative accessories & bed line. Our best selling brand "LATINA" has captured a worldwide market. Through a wide range of selection over 5000 product offer to anyone at anytime to shop online with affordable price. Out site will give you limitless opportunity to shop. You can find our product just suit your fashion taste. Up-to-date fashion products such as casual men & women's clothing, footwear for men & women, outdoor and career clothing, pant & suits, trendy clothing for teens, young ladies and junior wears, elegant hosiery & lingerie, bed linen and fashion jewerly. We make you feel beautiful and comfortable both inside and outside with a fair for individuality. We have associate outlets throughtout Malaysia to cater your orders. Just browse our online catalog to find the best item suitable for you and then visit our nearest state dealer to have your selection.